The Hollywood Librarian is the first full-length documentary film to focus on the work and lives of librarians. Using the entertaining and appealing context of feature movies, the film will have some surprises for people who may think they know what librarians do! American film contains hundreds of examples of librarians and libraries on screen — some positive, some negative, some laughable and some dead wrong. Films such as Sophie’s Choice, Philadelphia and It’s a Wonderful Life show librarians as negative stereotypes. The librarians in Lorenzo’s Oil, Desk Set and The Shawshank Redemption, on the other hand, are competent and professional. Dozens of interviews of real librarians will be interwoven with movie clips of cinematic librarians and serve as transitions between the themes of censorship, intellectual freedom, children and librarians, pay equity and funding issues, and the value of reading.You will meet the dedicated children’s librarian, the witty library director, the high-tech corporate librarian, the smart medical librarian, and the dedicated cataloger. You will see a prison literacy program, an elementary school library, a town faced with the most severe library crisis in decades, and much more! 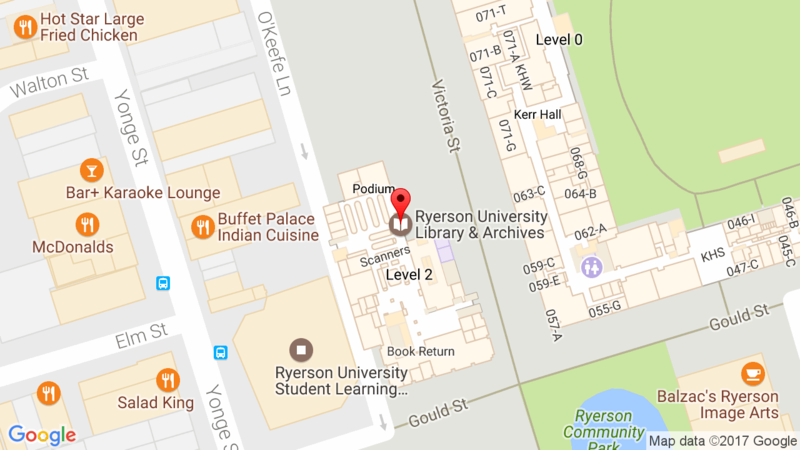 Sponsored by the Ryerson University Library and the Ontario College and University Library Association (OCULA). I do hope someone has remembered to obtain the proper licenses for this public showing. It is a great film. I highly suggest viewing it! The Ryerson Library/OCULA screening of “The Hollywood Librarian” was a great success–over 325 people showed up for the sold-out showing! MADELEINE LEFEBVRE, Chief Librarian at Ryerson University, Toronto, former president of the Canadian Library Association and author of “The Romance of Libraries”, is also a professional movie, theatre and TV actress. HOWARD BESSER, Professor of Cinema Studies at New York University, is also a Professor Emeritus at UCLA’s Department of Information Studies. He is a frequent speaker on the social and cultural effects of the media.